Look at this fantastic 2018 Dodge Durango that just arrived here at Auto Group of Louisville! This fantastic Durango is loaded up with great features like Remote Start, Uconnect 4 with AM/FM/XM/Bluetooth, Andriod Auto & Apple CarPlay Capable, Keyless Enter N' Go, Power Liftgate, Heated Steering Wheel, Heated Seats 1st & 2nd Row, 3rd Row Seating, ParkView Back-Up Camera, ParkSense Rear Park Assist with Stop, Alpine Audio System, Front Passenger Fold Flat Seat, and much more! 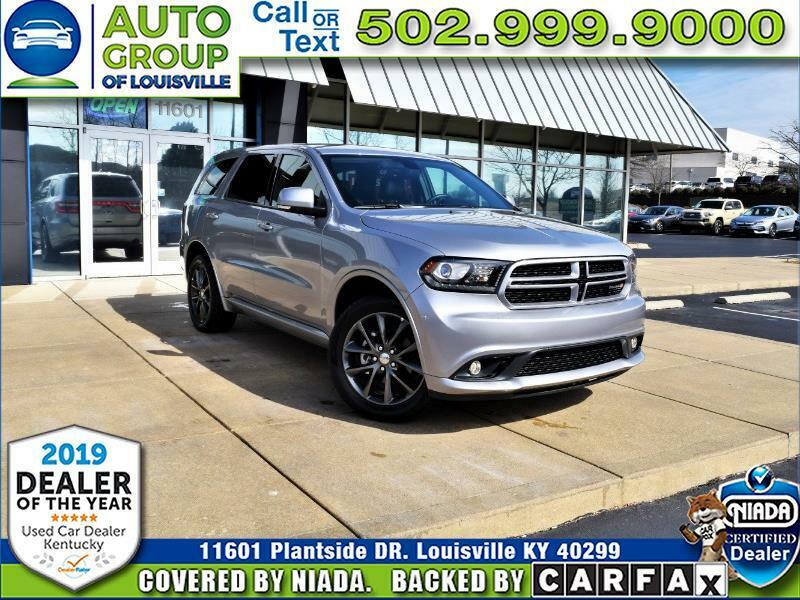 Hurry by 11601 Plantside Drive in historic Jeffersontown and let one of our Great, Friendly, Knowledgeable Customer Care Specialist show you this incredible Dodge Durango GT AWD today! Message: Thought you might be interested in this 2018 Dodge Durango.